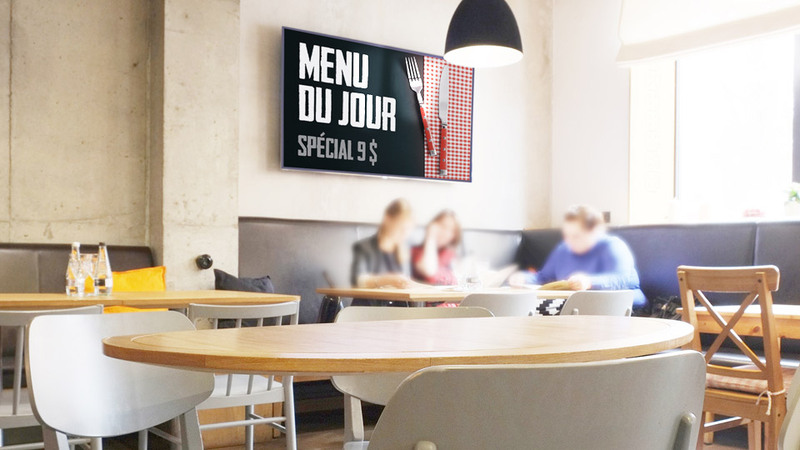 Improve the presentation of your dishes while influencing purchase decisions. 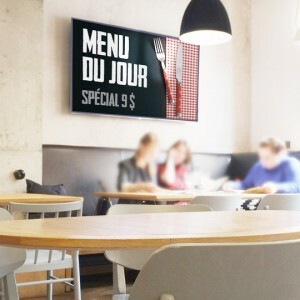 Our dynamic menu solution facilitates the presentation of your various menus and daily specials. Our software lets you manage schedules dynamically depending on the time of day and day of the week. At all times, you will be able to independently make the changes you want!